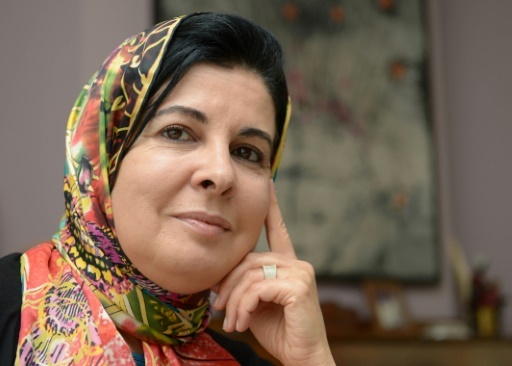 Moroccan author Asma Lamrabet is used to multi-tasking -- mixing her writing with a career in medicine -- but perhaps her most noteworthy balancing act is being both a faithful Muslim and a committed feminist. A tireless advocate for gender equality in a region where women’s rights often lag far behind those of men, Lamrabet has accumulated a body of work showing how feminism and Islam can co-exist despite centuries of male-centred dogma. “There’s a tendency to conflate models and ideals. But just as there are different models of democracy, there are different types of feminism,” she tells AFP in her Rabat offices. Although women in Morocco have far more freedom than their Saudi counterparts and gender equality is theoretically guaranteed by law, the north African kingdom has yet to adopt legislation criminalising violence against women, and child marriage is not uncommon. Lamrabet’s key message is that gender inequality is less to do with the tenets of Islam and more down to its interpretation within male-dominated societies. Her latest work, “Faithful and Feminists”, examines passages of the Koran and argues that there is nothing in the text itself to enshrine female subordination. “In all religious traditions, you find a certain stereotypical representation of women,” she says. It is for this reason, argues the Rabat native, who writes award-winning texts in between a career as a pathologist, that “it’s absolutely necessary to read the Koran in context. “When the Koran speaks of reason and justice, they need to be seen as universal concepts. But there are some verses that respond to given historical circumstances,” says Lamrabet, her thick black hair draped in a bright blue veil. Although wholly committed to universal women’s rights, Lamrabet says she took inspiration from renowned Indian feminist theorist Gayatri Chakravorty Spivak in her belief that the feminist cause has long been dominated by Western voices. Western feminists “continue to consider women of the (global) south as subordinate. “The priorities and demands of women may change depending on the context even though the principles remain the same,” Lamrabet insists. One defining factor of Moroccan social discourse in recent years has been dogged disagreement over the role of religion in politics. The kingdom is facing an unprecedented political deadlock after a power struggle between the Islamist Justice and Development Party (PJD), which won October’s general election, and the secular runners-up. Morocco is keen to be viewed as a beacon of moderate Islam and has embarked on a vast imam training scheme that has seen some 50 women preachers oversee religious development at some mosques. While Lamrabet finds the idea of female preachers “interesting”, she’s at pains to point out that having women as messengers changes little if the message itself remains essentially “patriarchal”.